The mercury is set to climb to flesh-searing heights with the further lifting of the level cap in the impending version update. Maximum character level will rise from 85 to 90, and this change will be accompanied by a host of new abilities, traits, and spells to complement the existing arsenal. Furthermore, to ensure that it won't be lonely for adventurers who reach these newfound heights, certain Wings of the Goddess areas will also undergo adjustments in monster level and distribution. Enhances critical hit rate and critical hit damage for party members within area of effect. Reduces the target's enmity towards you. Enhances accuracy and "Subtle Blow" effect for party members within area of effect. Does not affect the party member being targeted by the enemy. Lowers accuracy, evasion, magic accuracy, magic evasion, and TP gain for undead. Lowers accuracy, evasion, magic accuracy, magic evasion, and TP gain for arcana. Increases the rate at which the target yields treasure. Lowers accuracy, evasion, magic accuracy, magic evasion, and TP gain for demons. Lowers accuracy, evasion, magic accuracy, magic evasion, and TP gain for dragons. Orders the wyvern to attack with its breath. Orders the wyvern to heal with its breath. Channels your MP into TP for avatars and elementals. Grants the effect of "Enfire" to party members within area of effect. Reduces evasion for enemies within area of effect. 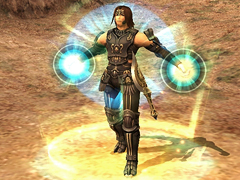 Occasionally uses three units of ammunition to deal extra damage. Grants a Regain effect to party members within area of effect. Lucky Number: 5. Unlucky Number: 8. 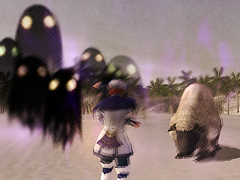 Enhances skillchain damage and skillchain accuracy for party members within area of effect. Lucky Number: 3. Unlucky Number: 10. Allows you to deliver a twofold attack. Requires at least one finishing move. Increases the enhancement effect duration of your next white magic spell. Makes it possible for your next elemental magic spell to be used in a skillchain, but not a magic burst. The jobs listed below will each welcome an existing trait to their arsenal upon reaching the specified level, beyond which the degree of mastery will increase in stages. Black Mage Lv.50 Elemental Celerity Quickens elemental magic spellcasting. 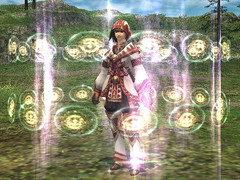 Red Mage Lv.87 Shield Mastery Grants bonus TP when blocking an attack with a shield. Dark Knight Lv.88 Tactical Parry Grants bonus TP when parrying an attack. *Uses the ninja tool, "mokujin." In addition to the above, performance-enhancing tweaks will be introduced for a host of existing job abilities. The exciting details will be announced in the very near future, so stay tuned!